Do you jointly own property with someone but find yourself in dispute about your respective shares? Is the legal title to the property in the name of someone else but you believe that you are entitled to a share? Or is an ex-partner claiming to be entitled to a share in a property that you own? In all these situations it may be that a trust of land has been created. Disputes regarding land held upon trust can take many varied forms and the law in this area can be complex. Those claims resulting from the breakdown of domestic relationships may often be based upon informal agreements between parties or contributions made during the course of a relationship. All such cases are factually sensitive and may be accompanied by other disputes such as future financial provision for children. 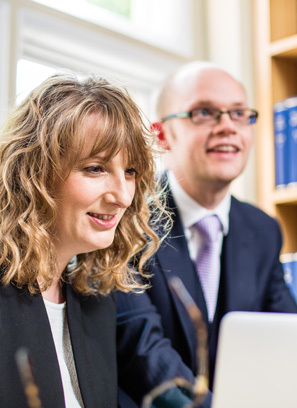 We can assist you by providing advice in relation to the legal basis of claims for a trust of land. We can advise whether, according to the facts of your case, the court is likely to find a trust exists. If you decide to make an application to the court, for a set fee, we can assist you to complete the required forms and help you to present your case in the best possible way.